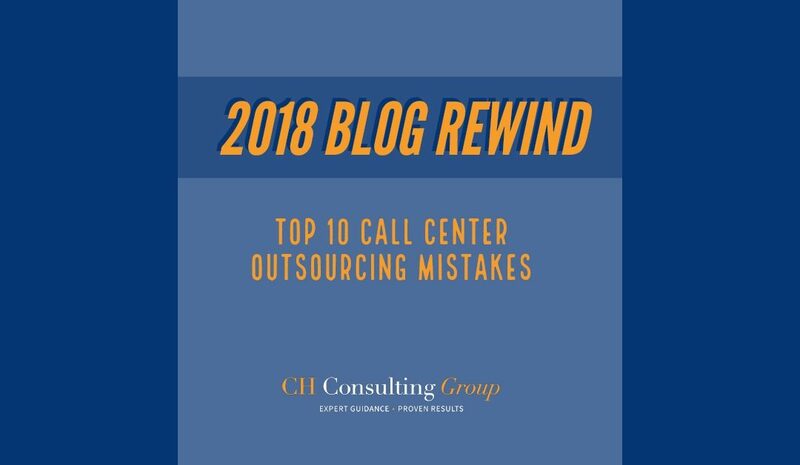 The next part of our Blog Rewind series brings us to one of our most popular blogs of 2018, Top 10 Call Center Outsourcing Mistakes. In this blog we talk through 10 common mistakes we see our clients make. Take a look and see if you are guilty of any of these outsourcing blunders. If you find that you are making one, two, or many of these mistakes, CH Consulting Group can help you figure out how to stop the bleeding and get aligned with industry best practices in 2019.